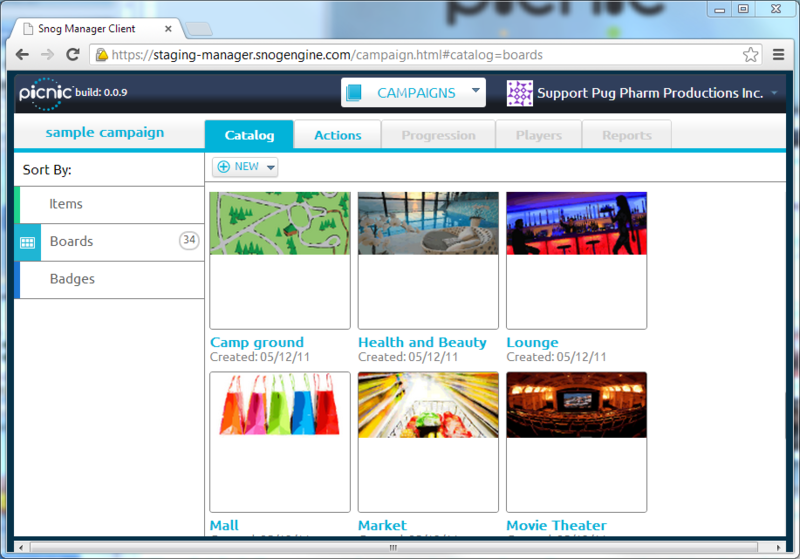 For large communities and enterprise applications, Picnic delivers the worlds most sophisticated gamification solutions. Created in 2008 by veteran video game designers, Picnic is the high-performance choice for driving community participation, recognition, loyalty and engagement. Features: adaptive quests, teams, PBL, milestones, levels, collaborative challenges, virtual goods, content challenges, social login, sharing, voting, enterprise integration hub, mini-games and more. 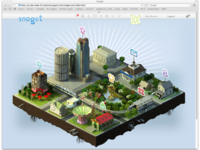 Pros: PugPharm provides a comprehensive end to end service to build Gamification into Products. Picnic is the product that is heart of this enterprise. 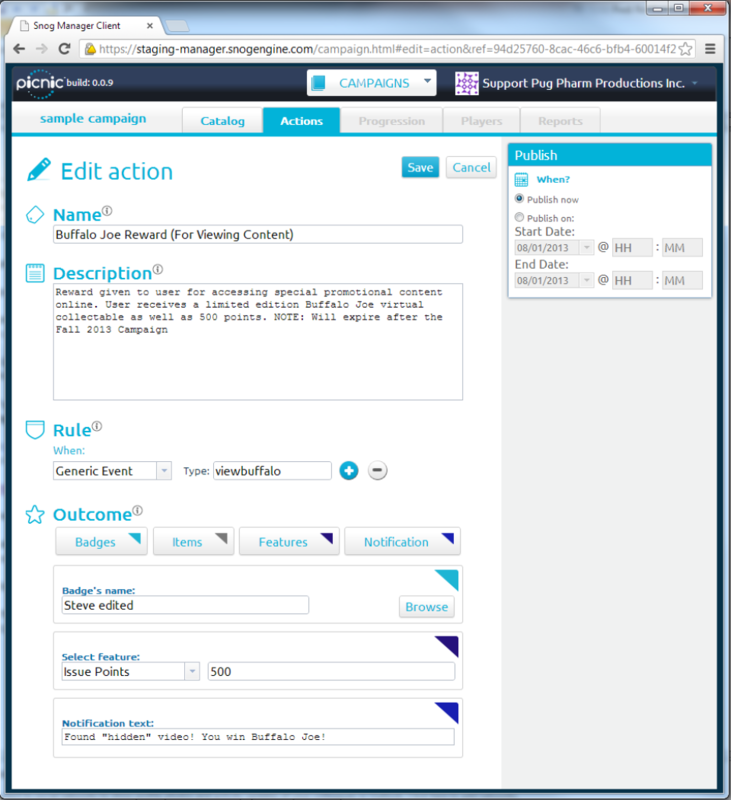 Picnic helps you define Artefacts, Milestones, Rules that power your Gamification workflows. It scales very well to spikes in loads, and is easy to compose / edit the rules. The team behind the product is certainly the best thing about the product. 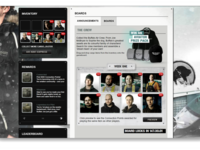 The team does a good job at on-boarding you with the product, as well help you shape up your Game play aspects. 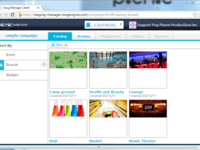 We used Picnic to build Gamification Systems for our clients and the results have been very satisfactory. The team helps with functional aspects of your Gamification story and helps you build a good engagement platform. Cons: The product is very blackbox style to begin with. The documentation can be improved a lot. 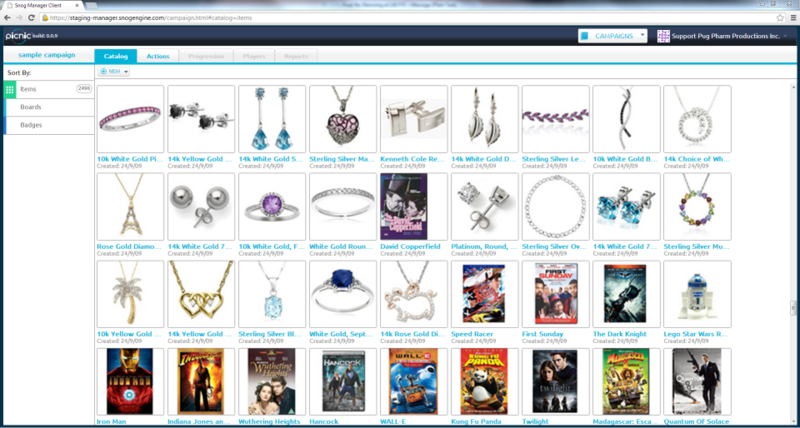 More examples of using the product will also be useful, and give the users ability to understand product scope. The product we used was in a SaaS model. Hence any issues with the product should be taken care by the PugPharm team only. We certainly did not encounter any major breakages, but this model can be quite frustrating to fix issues. 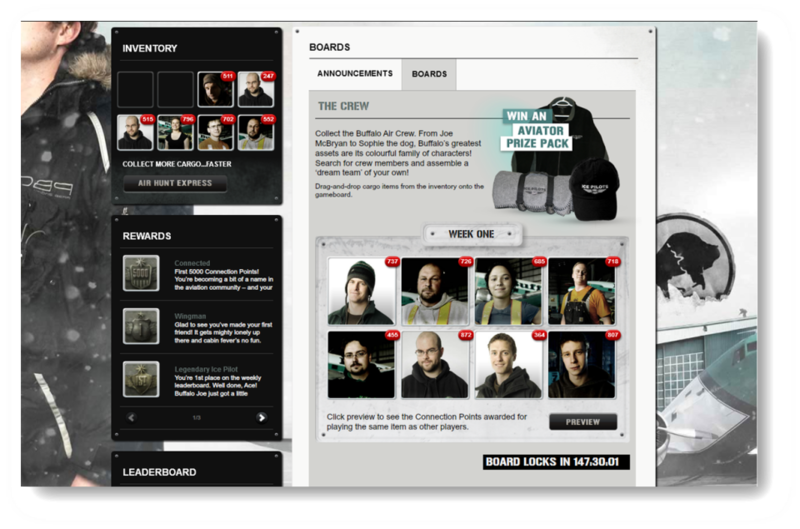 Overall: We were able to provide impressive Gamification Systems to our Client, based on this product. The PugPharm team are very knowledgable in the Domain, and are very good at advising you about the overall Strategy for you gamification needs. Pros: I think it's got a comprehensive feature set that works well overall with a lot of the engagement pieces we wanted for working with our members. Cons: It's $$, but I would say that when we reviewed similar projects, it seemed to be cheaper than some and about the same as others. Still feels expensive as an ongoing license. However, they need recognize our project's non-profit status so that helped. Overall: We've been using Picnic for almost 2 years now for our product that targets foster youth. We use it for badging and keeping track of rewards that our members have earned. We worked quite closely with the Picnic team and found them to be professional, helpful and timely. I would say that the model we worked on with them was different than their usual model, as we got into a lot of the development on our side to integrate with theirs. They didn't build all of it which I think is their usual model. So, there were quite a few learning curves in integration from both teams, but I think we all learned a lot more. Certainly didn't put me off working with them, just had some bumps to overcome. Hopefully our experience will feed into others into the future working in the same way. As for features, I think I'd like to see more reporting as it is pretty basic, but I think that it is available with more money to support that, so not sure that is really their issue. 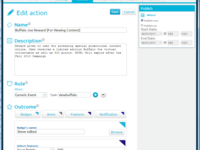 Comments: Lots of features, flexible to create a wide range of projects and campaigns. Support staff very easy to work with and documentation was clear and up-to-date. Pros: We looked at a number of different software packages before deciding to use Pugpharm. It was a good choice for what we needed, which was a quick implementation. 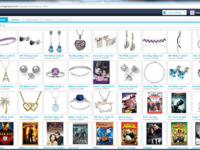 We also needed integration with our Drupal website. Their team was pretty flexible and the gameplay understanding was great. We learned a lot about what was needed for our users. Cons: Probably the dashboard, as while functional, it seems like it could be more friendly. Probably something that will be improved and to be honest, it didn't impact functionality. The integration was also a chance for both teams to learn though, as I think we were the first Drupal implementation. Overall: We were able to get it up and running quickly which met our user goals. It also did a bunch of things that we would have had to spend a bunch of time building. We got what we needed from it. Picnic helped me a lot, simplifying and accelerating the gamification process. Pros: Picnic is a reliable and safe tool, which allows me to concentrate on other details of my application. Overall: I will help a lot in the implementation that Picnic will have more examples of how it is used and more documentation. Pros: This platform allowed us to set up the game as a seamless branded activity for our ongoing environmental education and outreach effort. Cons: It's extremely complicated. Still, the staff are available for ongoing support. They have been there for us since we began interviewing companies to consider this approach. They were most interested, ever-patient with our big learning curve and actively interested in making our game a success. Overall: Love, love, love them, in the most professional way.